The Portland Sports & Sustainability Symposium at the Portland Trail Blazers’ Moda Center will convene regional professional and collegiate sports teams and venues, concessionaires, business and public leaders, and athletes to explore how the industry can make plays to advance healthier, more sustainable communities. Programming will focus on five of our key program areas: Venues, Food, Waste, Water, and Procurement. The day will be a combination of keynotes and panels, with ample time for networking and engaging with other event attendees. We will also have a small ‘Vendor Showcase’ for our sponsors with some select services/products on display. Speakers are being confirmed every day! To view the full list click here. 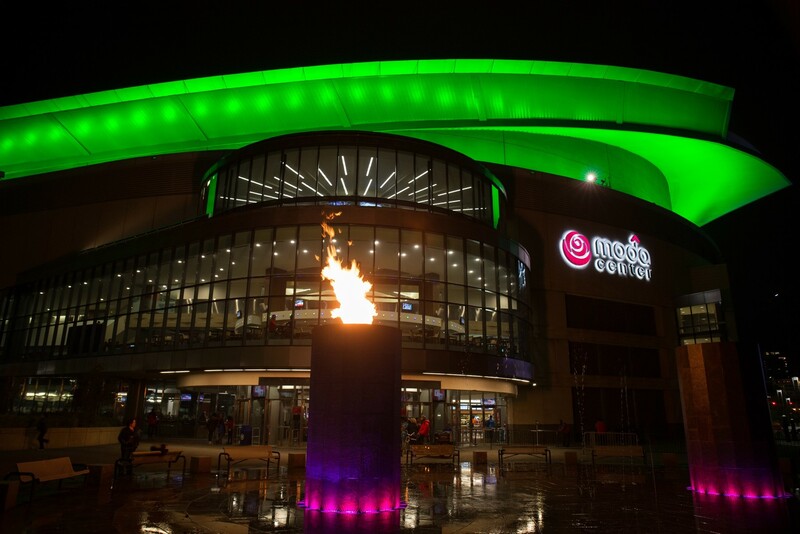 As part of the registration cost, you receive access to our post-event reception and a ticket to the Blazers vs. Grizzlies game that evening. Member discounts are available. Contact Garrett Wong for more information. If you are interested in sponsoring this event, please review our Sponsorship Overview. For information about sponsoring this event or to confirm your participation, please contact Savannah Mallo. Thank you to our Presenting Host Sponsor, the Portland Trail Blazers!